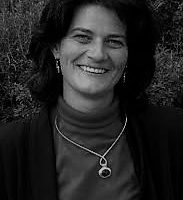 Margit Feischmidt is a cultural anthropologist, senior researcher at the Minority Institute of the Centre for Social Sciences at the Hungarian Academy of Sciences and associate professor at Department for Communication and Media Studies, University of Pécs. Hungary has become an interesting test case for integration and migration policies especially with regard to co-ethnic immigration (those of Hungarian descent born in other countries) and of course the migration of people from other EU countries. This complex relationship is not without lessons on exclusion and inclusion.